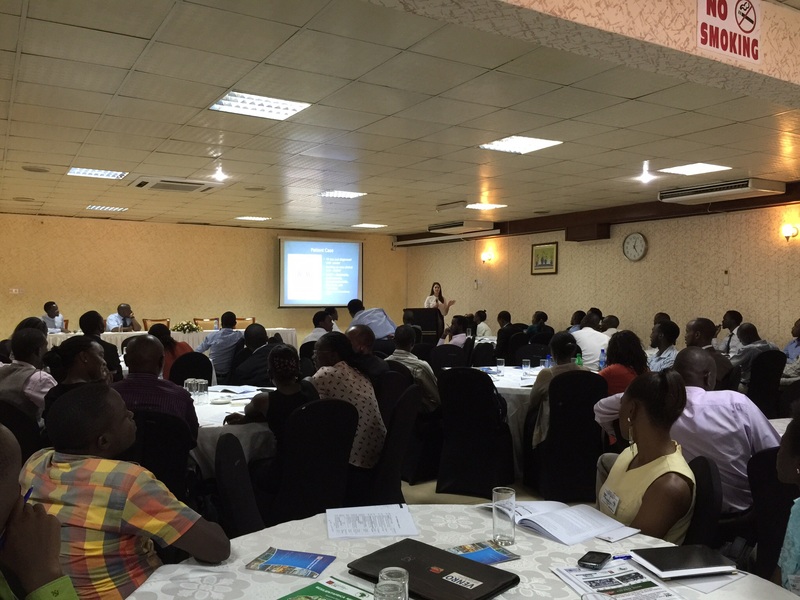 eering professions from universities in Rwanda, Uganda, and Kenya all gathered at Hotel Africana to present research and posters. An array of research results were presented on topics such as the reduction of HIV transmission, maternal health, health policy and advocacy, and complimentary/alternative medicine. 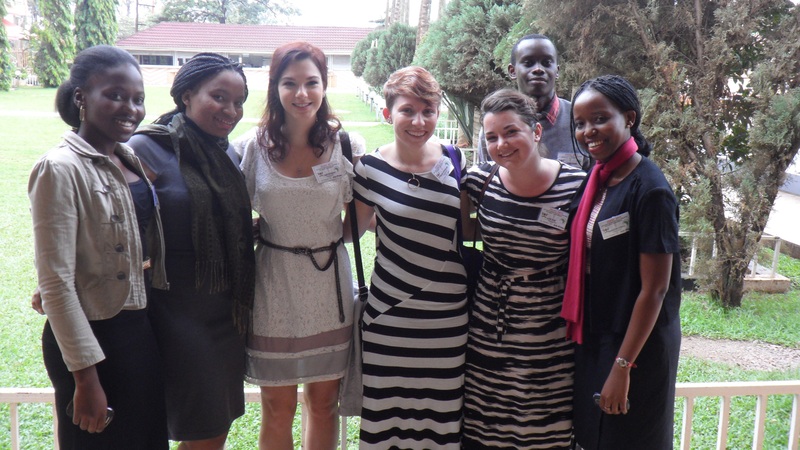 We felt that this conference offered great insight into East African culture. All of us were able to gain perspective on the similarities and differences between health care issues in the U.S. versus those in Africa. Many of the things we take for granted such as routine laboratory tests, readily available medications and access to healthcare in general are not so easy to obtain in Africa. 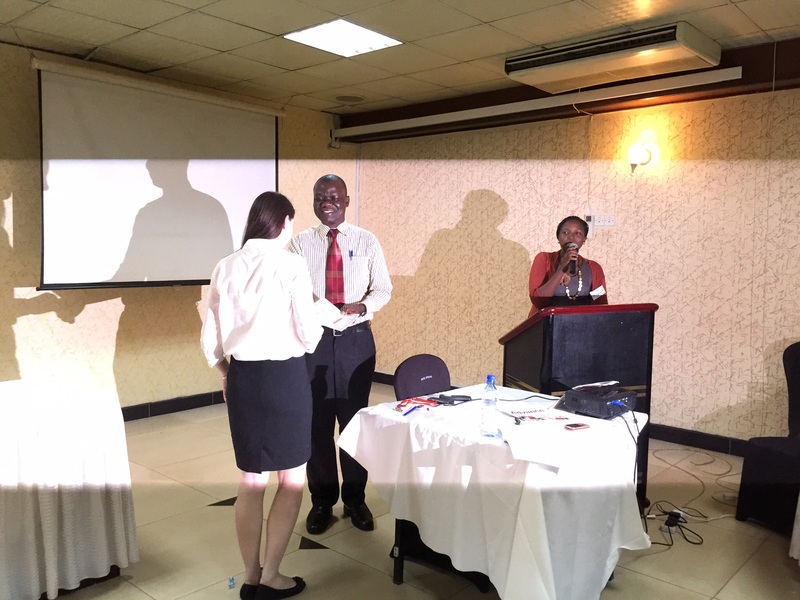 An example of the innovation exhibited by the students present at the conference was a study that sought to prove that monitoring of absolute lymphocyte counts (ALC) is just as effective as CD4 counts to direct HIV treatment. This would provide a cost effective way for rural communities to better serve their HIV populations when laboratory machinery is unavailable. Another student’s study aimed to implement an antimicrobial stewardship program and assure the congruence of antibiotics available in the hospital and the antibiotics tested on culture and sensitivity tests. He advocated for charts of these results for hospital use which could guide appropriate antibiotic treatment called Antibiograms. One thing that was surprising to us was the fact that prenatal and antenatal care are often completely controlled by the male of the household. It was shocking to us that some women can be disowned by their husbands for using birth control methods. Another unexpected fact was the magnitude of individuals surveyed in studies who did not disclose their HIV status to their partners for fear of being assaulted, abandoned or shunned by the community. There was a distressing example of a husband who hid his medications from his wife at a neighbors house in order to avoid telling her that he had HIV. Overall this was a great opportunity to network with students of different cultures and professions in an educational setting. Everyone was extremely welcoming, which provided a friendly atmosphere in which to learn. It helped us understand the state of affairs in healthcare in Uganda and will serve us well as we begin working in Mulago Hospital with the pharmacy interns and other medical professionals. 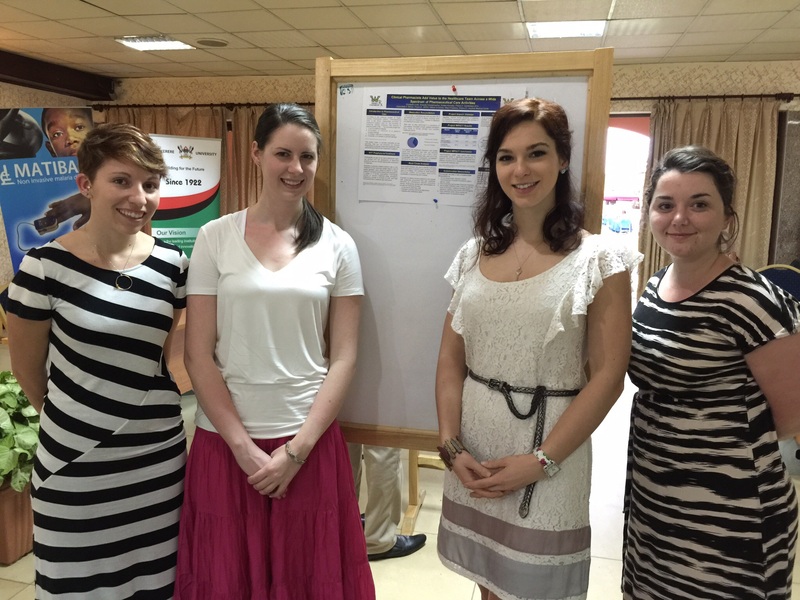 During the 2-day JISSC event, Amanda, Kristen, and Lizzie had the opportunity to present a poster we had prepared with Stacy about the How Clinical Pharmacists Add Value to the Healthcare Team. Neither Stacy or I were able to be in attendance at the time of the poster presentation but the students told me they basically they stood by the poster and answered a host of questions. In particular, the treatment of DVT’s in pregnant women seemed to garner a lot of interest. I think the girls thought it was pretty intimidating to be among so many well-informed students of a variety of healthcare professions in Uganda, not just pharmacy, but I’m sure they did quite well. Stacy spoke to approximately 200 students. Also, Stacy was invited to give a platform presentation on the role of pharmacists in providing Supportive Care for Oncology (cancer) Patients. She spoke about some of the major toxicities of common chemo drugs used in Uganda and how with proper preventative therapies, serious adverse effects can be avoided and patient care improved. Initially when asked to present, we thought the talk was 45 min long but then after reaching Uganda, she was told to prepare just a 10 minute talk. It wasn’t until she took the podium that the moderator told her she had only 5 minutes. But with poise and confidence, Stacy modified her prepared comments on the fly and met her time limit. This entry was posted in Diseases/Health and tagged APPE, Global Health, Global Pharmacy, JISSC, Joint International Scientific Student's Conference, makerere university, Makerere University Department of Pharmacy, Pharmacy Education, Pharmacy Students, Wilkes University. Bookmark the permalink.